The US Food and Drug Administration (FDA) has denied Amicus Therapeutics’ accelerated approval for AT-GAA, a pipeline treatment for Pompe disease. However, per the FDA’s recommendation, plans for a pivotal study that is set to conclude this year are still underway, so approval could be forthcoming. The decision followed a Type C meeting between the FDA and Amicus that discussed the regulatory path for AT-GAA. The upcoming, single pivotal study will compare AT-GAA to the current standard of care (alglucosidase alfa, an enzyme replacement therapy) and will serve as the study to support full approval. Approximately 100 participants with Pompe disease are anticipated to enroll in the trial, which will include a population of both ERT-switch patients and ERT treatment-naïve patients. A 6-minute walk with a primary treatment period of up to 12 months will serve as the primary endpoint. 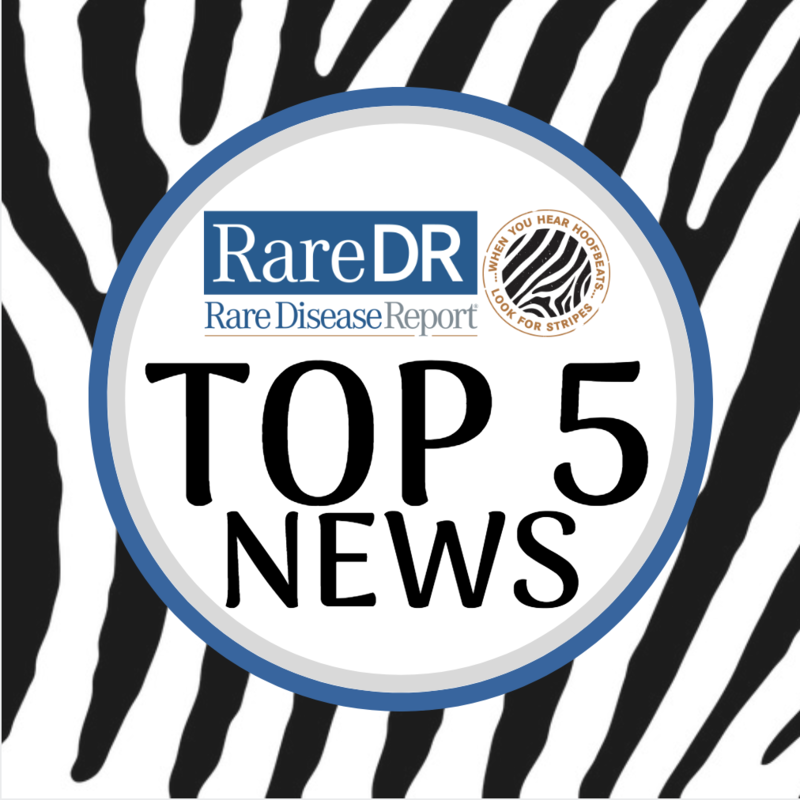 Read more about the denied accelerate approval and pivotal study underway for Pompe disease treatment, AT-GAA. Read more about the uncovered cellular origins and therapeutic vulnerabilities in rhabdomyosarcoma. #3 Telavancin: Promising Treatment Option for MRSA in Cystic Fibrosis Patients? Methicillin-resistant Staphylococcus aureus continues to plague patients in the health care and community setting, as well as the providers who treat them. When acquired in patients with cystic fibrosis, clinical outcomes are known to be even worse, resulting in an increased rate of declined respiratory function as well as infections that can have severe, and sometimes deadly, consequences. For the first time, however, investigators have found that telavancin—a drug currently used to treat skin infections and hospital-acquired pneumonia—has potent in vitroactivity and low resistance development potential when used against S aureusisolates in patients with cystic fibrosis, making it a promising potential treatment option for these patients. “Telavancin (TLV) is a lipoglycopeptide antibiotic approved by the US Food and Drug Administration (FDA) in 2009 for the treatment of complicated skin and skin structure infections and in 2013 for the treatment of cases of nosocomial pneumonia. However, its application for the treatment of CF-MRSA pneumonia infections was not known, so our studies are contributing to extend the application of TLV for CF treatment,” Adriana E. Rosato, PhD, associate professor in the department of Pathology and Genomic Medicine at Houston Methodist Research Institute told our sister publication Contagion®. Read more about how telavancin may be a promising treatment option for MRSA in cystic fibrosis patients. The US Food and Drug Administration (FDA) has granted a fast track designation to FibroGen, Inc’s pamrevlumab for the treatment of patients with idiopathic pulmonary fibrosis (IPF). Data from a randomized, double-blind, placebo-controlled phase 2 clinical trial served as the basis for the designation. The main objective of the trial was to see if the treatment improved lung function; to do this, investigators measured the change in forced vital capacity (FVC) at weeks 12, 24, 36, and 48 and compared that data with the beginning of the trial. Secondary objectives for the trial were to assess the progression of lung fibrosis, which they measured by using quantitative high-resolution computed tomography at weeks 24 and 48. The treatment’s safety and impact on quality of life were also evaluated. Read more about the FDA;s fast track designation to IPF treatment, pamrevlumab. New research conducted by scientists from Lund University in Sweden is shedding new light on Huntington’s disease and the potential for new therapies for this and other neurodegenerative diseases. The progressive brain disorder, Huntington’s disease (HD), typically has an onset in adulthood and is marked by uncontrolled movements, emotional problems, and cognitive loss. The condition is caused by mutations in the HTT gene, which provides instructions for the production of a protein called huntingtin that plays an important role in the brain’s nerve cells. This mutation leads to a buildup of protein aggregates in the nerve cells of the brain, thereby impairing their normal functions. Autophagy is the biological process by which nerve cells break down and remove protein aggregates, a process which is disrupted in individuals with neurodegenerative diseases (NDDs), such as HD, Parkinson’s, and Alzheimer’s. In a recent study published in the journal Cell Reports, investigators set out to find if activating the process of autophagy can reverse the accumulation of the protein Argonaute-2 (AGO2) in neurons. Read more about how a new look at gene expression in the brain may offer clues to treating Huntington’s disease.